Singer-songwriter Farah Kamsari didn’t know what to expect upon releasing her first single with a major label. In exchange for her self-penned “Gula-Gula Getah”, publisher and record label NSR paid a token sum for full ownership of the song but promised Farah 10% of airplay royalties. NSR allowed production house Grand Brilliance use of “Gula-Gula Getah” to promote their movie Chow Kit in 2012. The label itself however didn’t seem particularly invested in the song or the latest addition to their roster, now called i.farah. Farah debuted in the industry with a movie soundtrack tie-in. Source. When it came to payment, the slack widened. Farah received RM500 in royalties for the first year of the song’s release, but there was no supporting documentation to explain the payment. Farah sought early termination with NSR, and has since continued writing and performing as an independent artist. However, she can no longer perform “Gula-Gula Getah” without permission, and neither has she received income from the track since leaving her publisher. Sounds like a musician’s worst nightmare? That’s why bodies like Music Authors Copyright Protection (MACP) exist. In an interview to provide much-needed information on how royalties work in Malaysia, MACP Legal Manager Justin Johari tells us how Farah could have avoided the worst. Justin believes that Farah and NSR’s terms wasn’t particularly terrible, and that Farah’s cut of royalties will grow once she builds bargaining power. That will come with experience and recognition. Her loss of future income from her own composition however stems from the fact she wasn’t protected as a musician. Most artists simply can’t keep track of how many times their songs are performed by others. To better understand how musicians like Farah can keep themselves secure in Malaysia, consider the necessity for a Collective Management Organisation (CMO) like MACP. Justin’s workplace began as a CMO, established in order to manage rights in copyrighted works — this meant stuff like licensing rights, collecting royalties and enforcing rights on behalf of copyright owners. What makes CMOs unique is their ability to grant rights on behalf of multiple rights holders through a single licence. This comes especially handy in dealing with matters like radio airplay which would be very difficult to monitor if you were doing it by yourself. Imagine you wanted to play music in a space, say, a restaurant. You’d technically have to obtain permission and rights to each song on each one of your playlists in order to avoid legal trouble. However, subscribing to a single license from a CMO enables you to access content from its library and provide its members with their rightful royalties. The first ever CMO, a sort of “author’s society”, was known to exist in France since as early as 1777. Today, laws concerning copyright and royalties are largely based on the tenets established during this period. MACP seizes material from a karaoke joint in Kota Damansara on 25 October 2013. Source. After 23 years in existence, MACP was finally appointed a licensing body by the government. It has since been able to carry out operations to identify illegal public performances of musical works at premises around town. In other words, if outlets are airing music but not making their annual payments to you and your fellow artists through a CMO, they’re conducting an offence under Section 41 of the Copyright Act 1987. Wondering how all this actually works? According to Justin, each department within every CMO in the world has specific functions, and they work in tandem to get royalties from licensees to artists. For example, after granting use of music in public, Licensing collects fees while Documentation & Distribution monitors where music is played (e.g. Youtube, Baskin Robbins) and where specific songs are licensed (e.g. online streaming platforms, live awards shows). Without music, your neighbourhood Starbucks could be a lonely place. Source. 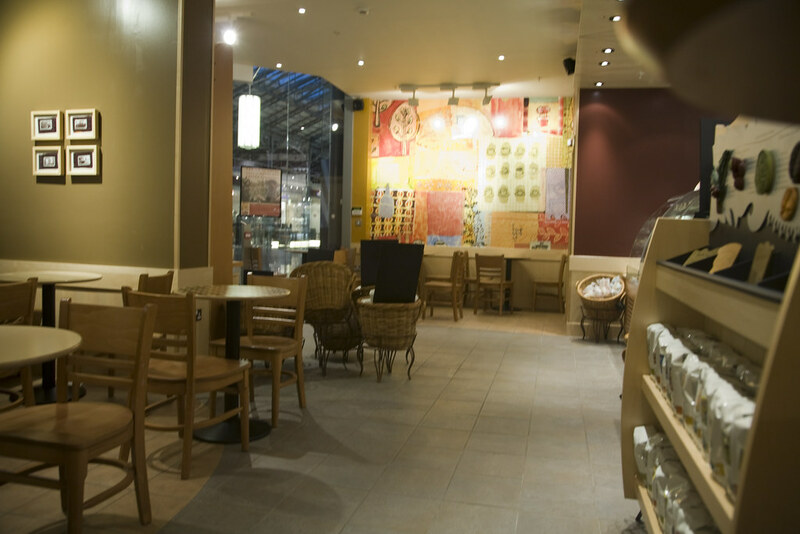 In the case of a store like Starbucks, source of music must be reported (e.g. CD or radio) in order for MACP to identify which artists and songs are receiving airplay. With so much to take into account, the age-old question of “how much do I get each time my song is played?” cannot be answered so easily. Most institutions pay their fees on an annual basis, so royalties are based on gathered data and licensing fees received during a whole year. This also tends to fluctuate with the economy. But there are also other variables in the formula which rewards seniority and acclaim; artists in MACPs top tier tend to receive more from airplay among other benefits. Members of a CMO get to speak out, like in this MACP AGM on 25 May 2015. Source. Protecting your rights as an artist in today’s day and age might not be easy — the internet has created a brand new playing field riddled with unfamiliar territory — but registering with a CMO like MACP will help ease the burden. You don’t necessarily need to have a publisher or record deal beforehand either. Anyone with at least five musical works under their belt is eligible for membership, but bear in mind only original works are accepted.